Thank you for your continued support of this wonderful Birmingham art & cultural Festival. We hope to see you in Linn Park for MCAC’s annual infusion of art, kids workshops, music, dance, food, craft beer/wine/spirits/cocktails, art installations, lounging, fun, and more! 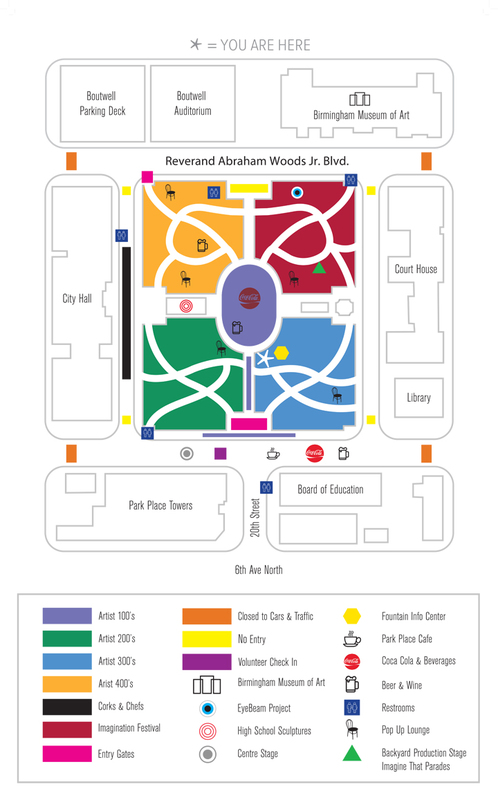 Please consult Venue Map below with Gates marked in Fuchsia/Pink.